Yep! Cheap Kelloggs cereal and possible a FREE Movie ticket! Kellogg’s Cereal between $0.80 and $1 each!! I don’t generally post dollar tree deals because the stock varies SOOO much between stores, its not worth the trip. 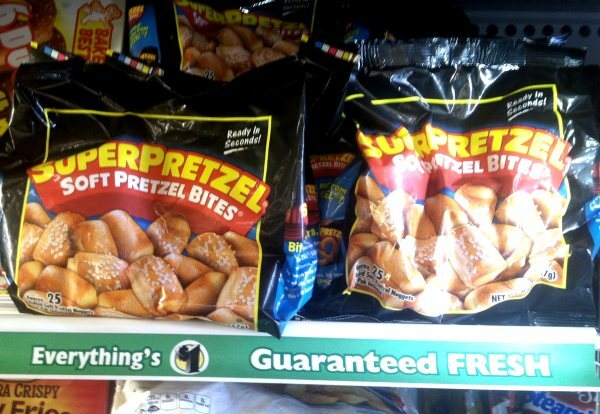 BUT these super pretzel bites I have seen at every Dollar Tree that has a freezer section, so the odds are pretty good for this deal. 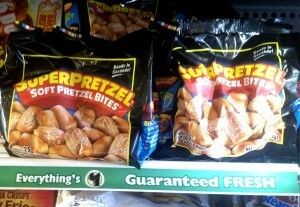 In last Sunday’s paper 8/18 RP, we got a $1/1 Super Pretzel Coupon. Which makes these FREE! So if you didn’t hear, Dollar Tree now takes coupons! So there are 2 deals that we could take advantage of. Some Dollar Tree stores sell Ziploc bags and storage containers. Obviously they are $1.